Loves Animation have announced their line-up of anime coming to Scotland Loves Anime for the year of 2018 in the Glasgow territory. As of 31st August all of the titles for Glasgow have been announced, with the Edinburgh line-up to be revealed later on. 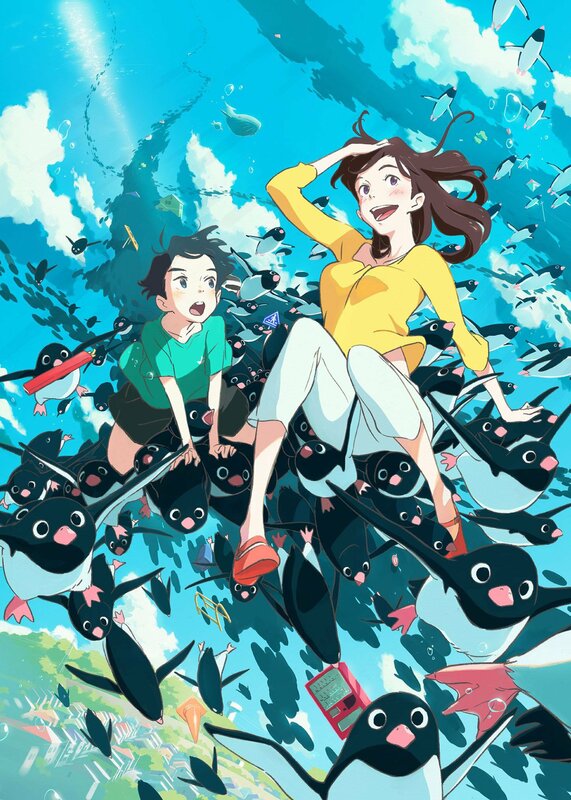 Scotland Loves Anime for Glasgow is shown between Friday 12th October to Sunday 14th October at the Glasgow Film Theatre. There is a season pass available for £64 Full Price / £48 Concession / £36 15-25 Card and you will need to be 18 years or over in order to attend. Here are the list of titles so far announced for the Glasgow Film Theatre between Friday 12th to Sunday 14th October 2018. The Royal City of Cremona’s beautiful archipelago is darkened by the shadow of a brutal serial killer, known only as ‘Killer B’ due to the distinctive calling card he leaves at the scene of his crimes. With the royal police force struggling to hunt down Killer B, they turn to the enigmatic and eccentric detective Keith Flick to unlock the secrets of this case. However, the returning detective arrives with no shortage of baggage of his own, and the truth behind the murders drags him and his colleagues into a dangerous, conspiratorial world that is stranger than any of them could have imagined. This is a rare case for SLA as this is actually a TV series. SLA will be screening the opening episodes plus a special Q&A session with director Kazuto Nakazawa. This event is confirmed to be exclusive to Glasgow’s line-up. In the futuristic Japanese city of Oedo, the police have turned to an unlikely source to combat the alarming rise in computerised crime – violent criminals. Sengoku, Gogol and Benten are promised a reduction of their centuries-long prison sentences for each case they close. If they fail, then only death awaits them thanks to the exploding collars placed around their necks. This dark, stylish cult classic from Yoshiaki Kawajiri returns to the UK at long last! 10 years after the Holy Grail War – a battle waged by Masters and Servants over the wish-granting container, the Holy Grail – another war breaks out in Fuyuki City. Shirou Emiya – the adopted son of Kiritsugu Emiya, a participant of the previous Holy Grail War – resolves to fight, carrying out Kiritsugu’s dying wish. Witness a spectacular new path for the hugely popular Fate/stay night universe in this first instalment of animation studio Ufotable’s film trilogy. This deeply moving story is told from the perspective of a high school boy who finds the diary of his classmate, and discovers that she is dying. Sakura Yamauchi has been silently suffering from a pancreatic disease in school, and now exactly one person outside her family knows. He swears to her that he won’t tell anyone, and the shared secret brings them closer together. The two have very little in common, but they find themselves drawn to each other in Sakura’s final months to live. The birth of a sibling is a joyous time for many, but not for 4-year-old Kun. He struggles to cope with the arrival of baby sister Mirai, seeing her as competition for his parents’ love. That is, until things turn magical. A gateway in the garden allows Kun to time travel and meet family past, present and future. This journey through time and space allows Kun to confront his uncertain feelings, and prepares him to become the big brother he was meant to be. Based on the manga by Kôhei Horikoshi, about a world where people with superpowers (known as Quirks) are the norm. U.A. High students are getting ready for the summer training camp, when Deku and All Might receive an invitation to go overseas to a giant artificial moving city called I-Island. This island gathers the knowledge of scientists from around the world, and is holding an exhibition called I-Expo, showcasing the results of Quirk and hero research. In the midst of all this, Deku meets a Quirkless girl named Melissa and remembers his own Quirkless past. Out of the blue, the impregnable security system the island boasts is hacked by villains, and all the people on the island are taken as hostages. The man who holds the key to it all is the number one hero and Symbol of Peace, All Might. That’s all of the Glasgow titles confirmed. Stay tuned for the Edinburgh line-up coming soon! A glossy production of obvious quality, December Sky is set to bring the ubiquitous Gundam brand to this year’s Scotland Loves Anime, in the form of an unusual film whose considerable strengths will appeal to far more than just the hardened fans. The emotional drama anime film “I Want to Eat Your Pancreas” heads to the Republic of Ireland next month with Cork’s annual Japanese Film Festival!